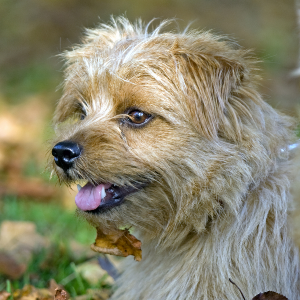 Who can fail to love the fearless and happy Norfolk Terrier? Often enjoy dog sports such as agility, racing, lure coursing, tracking, flyball, Frisbee, musical freestyle, rally obedience, and water sports. Sensitivity and stubbornness may be reduced by using motivational tools such as treats and favorite toys in reward-based obedience training. 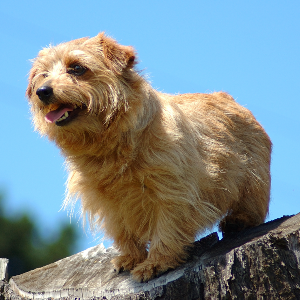 Ah, who can fail to love the fearless and happy Norfolk Terrier? 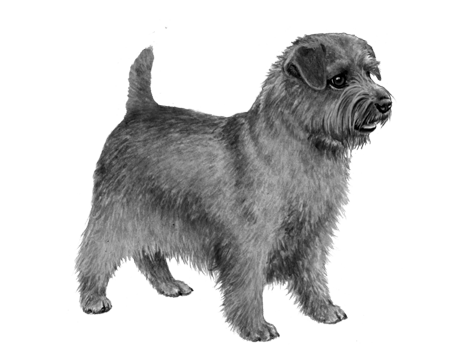 They were first developed in the 1880s by British sportsmen who, it is believed, crossed Cairn Terriers with small Irish Terriers and small red terriers. 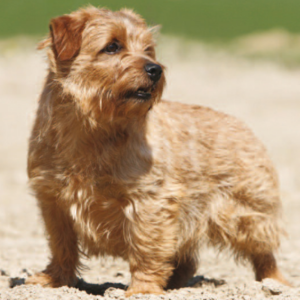 The Norfolk Terrier was primarily used for killing rats and hunting foxes. 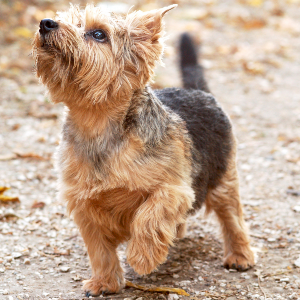 They were first accepted to the English Kennel Club in 1932, although they were classified as the same breed as the Norwich Terrier at that time. After many years, the two breeds were finally recognized independently. Some say that they were always two distinct breeds and someone made an error by classifying them as one. 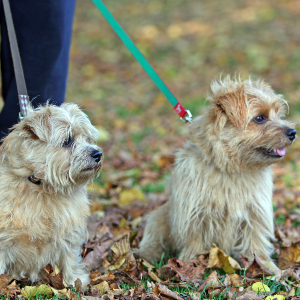 Whatever the truth, there’s no mistaking these loveable, companionable little dogs.